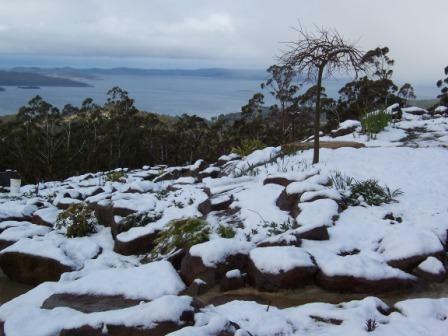 Woodbridge Hill Hideaway - your romantic private luxury accommodation South of Hobart with spa and a spectacular view. Each of the self contained Hideaway cabins are luxury travel, with the option to relax in the magnificent heated indoor Woodbridge Hill Pool. 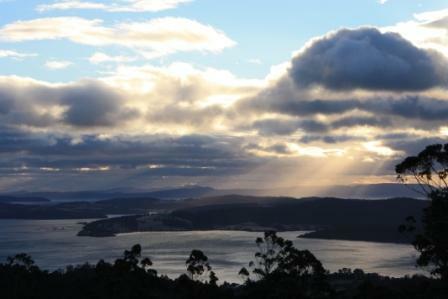 You can look across at Bruny Island and the Tasman Peninsular (Port Arthur), indulge in a full complimentary breakfast while watching the birds. 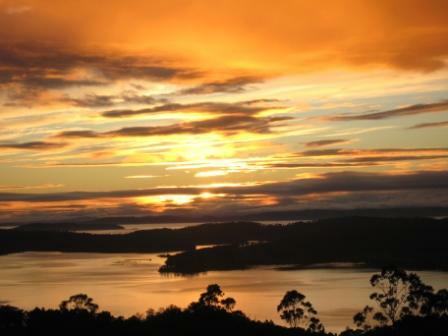 Woodbridge is central to a great food and wine region in southern Tasmania. 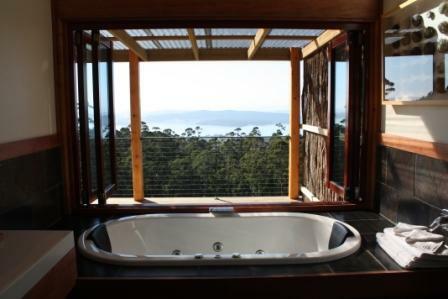 Your romantic private luxury spa accommodation South of Hobart with a spectacular view. 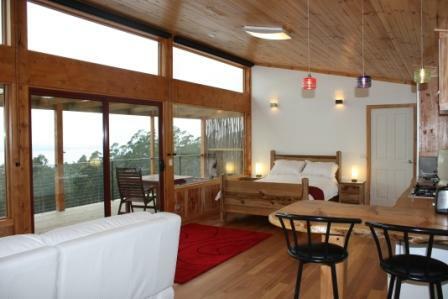 Relax with a wood fire, double shower, double spa with opening window to view, leather reclining couch, LCD HD TV and quality linen plus gas hotplates and lockable safe. 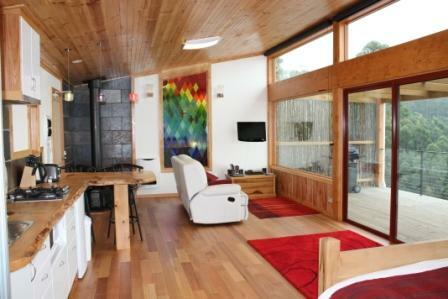 Tasmanian Timbers and art work. 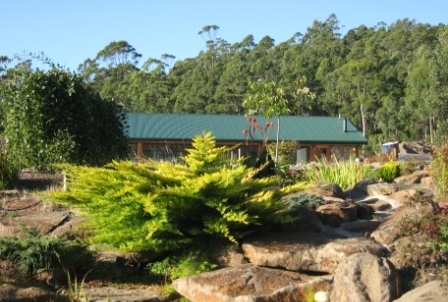 10 Acres of newly landscaped gardens, Tasmanian Food and Wines can be purchased in your cabin, Tasmanian Melle Beauty Products for use in bathrooms. 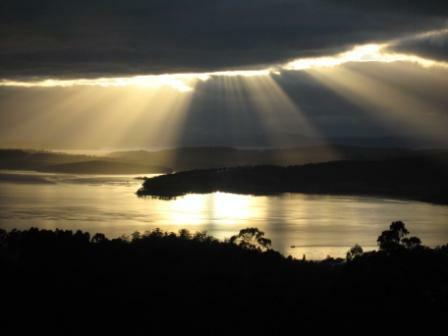 Your romantic private luxury spa accommodation South of Hobart with a spectacular view. 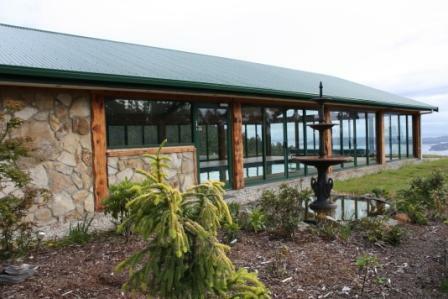 Relax with a wood fire, double shower, double spa with opening window to view, leather reclining couch, LCD HD TV and quality linen plus gas hotplates and lockable safe. 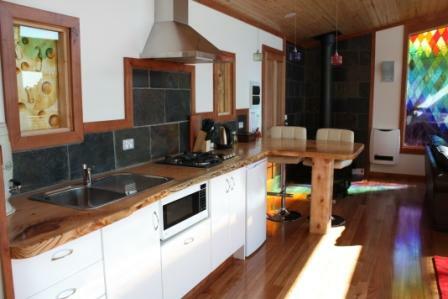 Tasmanian Timbers and art work. 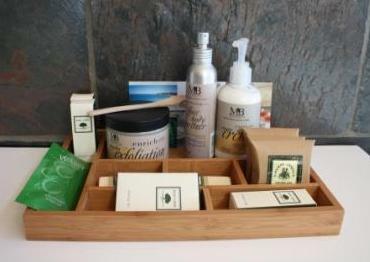 10 Acres of newly landscaped gardens, Tasmanian Food and Wines can be purchased in your cabin, Tasmanian Melle Beauty Products for use in bathrooms. Disability access. 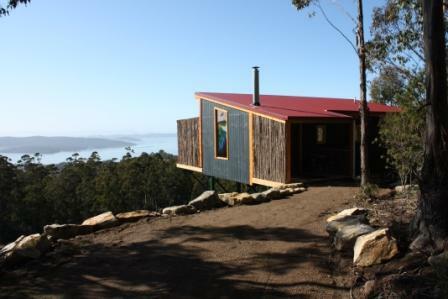 Woodbridge Hill Lodge is Tasmanias new luxury accommodation only situated 35 minutes south of Hobart with Spectacular views of the D'Entrecastreaux channel and Bruny Island. It has been designed and built by Fintan Downham using generous amounts of timber,stone and glass,capturing the view but also with the comfort of discerning traveller in mind. The Villa Style accommodation has Five queen bedrooms each with indulgent en-suites,including a double showers,with extra options for children.The lodge comes with a fully equipped commerical kitchen with a lovely homely feel. There is an open plan very large east facing living room with panoramic views of the Channel,where the sunrises are amazing. 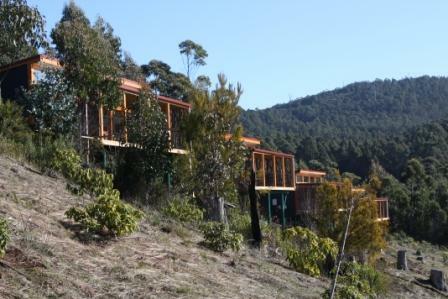 This area also leads directly ontoa veranda which wraps the front of the bluiding and then onto an expansive deck,again making the most of the views and offering many indulgent spots to relax. The western room contains a movie projector,pool table and lots of space. There is twelve seat Mytle dining table in the private dining room. Plus a spa room. 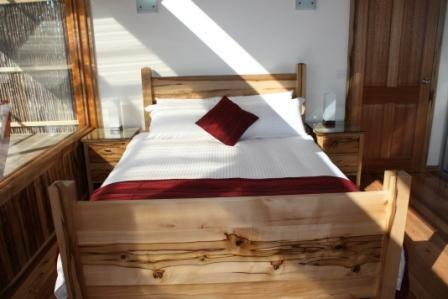 the aim is to provide luxury and comfort. 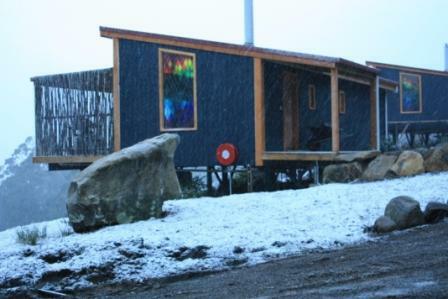 The ecofriendly building has been design by using Tasmanian rescued old growth native timbers.There are massive Celery Top Pine posts used in the construction with at least five other native timbers also used. Local art works are included such as glass feature windows by Ruth Downham, Iron work balustrades by Nick Attfield and Mosaics by Wendy Edwards. 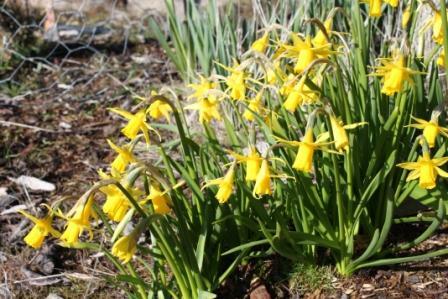 The lodge is heated with hydronic underfloor heating,is double glazed and fully insulated.